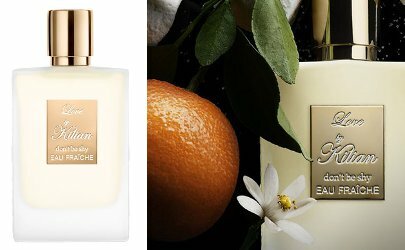 French niche line By Kilian has launched Love, Don't Be Shy Eau Fraîche, a new flanker to 2007's Love, Don't Be Shy. "Love is life's narcotic—its folly and its freshness. It is something we return to, in spite of ourselves, like any proper addiction," says Kilian Hennessy. Love, don't be shy Eau Fraiche is a sweet treat for adults with its base of marshmallow and musk, yet it is more candid than the original Love, don't be shy. Neroli sourced from North Africa and petitgrain from Paraguay add freshness and delicacy to the core composition. Structured like a delicate veil with its tender heart of florals such as peony and freesia, Love, don't be shy Eau Fraiche expresses the sensuality of the game of love. By Kilian Love, Don't Be Shy Eau Fraîche was developed by perfumer Calice Becker. It is available now at Bergdorf Goodman, and is $210 for 50 ml.